There are some questions that we have received after the first lesson from this educational series, and we should answer them before showing the second lesson in memorizing the Quran.…. From these questions: How can the recited Quran be listened to? Should we listen to a whole Surah several times a day? And what are the suitable times for listening to the Quran? How can the recited Quran be listened to? Should we listen to a whole Surah several times a day? I prefer to repeat listening to the same Surah several times every day until its words become familiar to the listener. For example, if you want to memorize An-Naml (The Ant) Surah, you have to listen to this Surah in a voice of one of those who recite it for several times in a period of several days. Then, the memorization process will be very easy after that. I have followed that and it was fruitful. I have memorized the Quran without exerting any great effort because I was listening to the Quran. What is the perfect time to memorize the whole Quran? We should know that the Great Apostle (pbuh) memorized the Quran in 23 years!!! The period the Quran was revealed. From the Prophet sayings, there is no specific time for memorization, but my brother reader, you can memorize what may Allah avails for you from His Book and you determine firmly to complete memorization. Do not feel disinterested if suitable circumstances were not available. You only need to ask Allah Almighty to furnish you the suitable circumstances and He may answer your supplication. You may be able to memorize in a month and it may take years, but I think the right period for who likes to set a time table is one year or two years. Finally, the left question is around my experience in memorizing the Quran and how much time did it take me to keep by heart the Book of Allah Almighty? In fact, I did not think at all during my memorization process of time or how much I memorized. However, my concern was pleasing Allah Almighty, and I was always saying I need the big rewards and proximity to Allah Almighty. I used to know that a believer may memorize “Say: He is Allah, the One and Only” Surah and he will be at the top in front of Allah because of his devotion and sincerity with Allah. This is what makes the believer the best memorizer of Allah’s Book because Allah will assist him to memorize. But, whoever memorizes the Quran to boast and gain a certificate to show to people, his rewards will be little even if he memorized the whole Quran. Maybe, all of us know about the man who will be used to fuel Hell on the Day of Resurrection, a man who kept the Quran by heart and read it to be called a reader, a man who takes pride in memorizing in front of people and not for the sake of Allah. This person got his rewards in this World and does have anything in the Hereafter. Therefore, I always say dear brother and sister: Little memorization with sincerity is much better than much without devotion. How should I memorize a Surah from the Quran? We have mentioned in the first lesson of this educational series the importance of listening to the Quran. It has a great impact in long-period memorization. This way is not new or innovative, but it was the way if our Master, the Prophet (pbuh). The Great Apostle (pbuh) was memorizing the Quran by listening to Gabriel (pbuh); therefore, the first stage is listening and repeating this process. The second stage is very important in easing the memorization process and making it enjoyable and interesting. When you consider the verses you have heard and understand them carefully, that will consolidate these verses in your memory for a longer period and you will discover new things in the indications of the verses. Reading this Surah as whole three or four times. Divide this Surah into portions and each portion includes several verses according the linguistic meaning and the connections between the portions with each other. Read the first portion several times until you complete memorizing it, next, read also the second portion several times until you memorize, then, read the third and repeat it many times until you feel that you have memorized it. Now, you have to connect these portions, you read the first and the second portions several times until you memorize them. Then, read the third and the fourth portions till you memorize them. Then, you read the four portions together, memorize and establish them. Finally, we move to the fifth portion and so on until we complete memorizing the Surah. First stage: As aforementioned, we have to listen to Surah An-Naml every day several times. Second stage: We try to understand every word in this Surah. Third stage: We establish memorization from the Book. Now, we will live in the introduction of Surah An-Naml. This Surah was named the Ant because it was the only Surah in the Quran in which the ants were mentioned. Before you know how to memorize this Surah you need to know the story of our Master Solomon (pbuh) in this Surah in an easy manner. There was among Solomon's soldiers a bird named "The Hoopoe". This bird disappeared by traveling far away. Solomon (pbuh) came to ask about it and he did not find it. He said: he will punish it severely because it went without his permission unless it comes back with news or true important information. Soon, the Hoopoe came back and showed in front of Solomon (pbuh) and said: I knew new things you do not know O' King. King Solomon said: What is this new information which I do not know? The Hoopoe said: I went to Sheba, and I found there people who prostrate to the sun and do not believe in Allah. They have a queen with a great throne decorated with gold, silver, and jewels. The Hoopoe continued saying that those infidels do not prostrate to Allah Almighty who knows the secrets of skies, the earth and everything. Solomon (pbuh) said: we will consider what you have said, but you have to go back with a letter to them. In this letter, I will call them to believe in Allah Almighty and quit worshipping the sun. The Hoopoe went to Sheba carrying King Solomon's (pbuh) letter. When it arrived to the queen palace, it dropped the letter near it. A soldier came, took the message and handed to the queen. The queen summoned her ministers and told them: I received a letter from King Solomon, a noble letter starting with, "In the name of Allah, Most Gracious, Most Merciful." And required us to submit to the true religion and quit worshiping our god, the sun. What shall I do? The ministers said: We are strong and King Solomon cannot conquer us. The queen replied: This king is very strong and he can conquer us. When kings enter a country, they destroy it and humiliate its people. Therefore, I think we send him a gift because it may convince him and stop attacking us. The queen sent a gift of jewels, gold and very precious things. But the Hoopoe had heard the queen's words, went back to Solomon, and told him that: The queen is sending you a gift. When the gift arrived to Solomon, he did not accept it and said: Do you give me money? Allah has given me things much better than what you have. You rejoice the gift while I do not rejoice other than the gift of Allah, His generosity and mercy. Then, he said: Go back to them. We will bring them an army that they will not be able to meet. We will dispel them in disgrace. The soldiers went back with the gift to their queen and told her with what happened. They said: That King Solomon will send us soldiers to dispel us from our country. What do you order us to do? And how to behave in this situation? This queen was wise and very smart. She realized that this king was not like other kings. He did not covet money, but he called for faith in Allah free of charge and without pay. Therefore he had to be sincere; I would go and talk to him. The queen went with some of her soldiers to King Solomon (pbuh). Then, Solomon (pbuh) had met with his ministers and men. The counsel included some sprite of jinn whom Allah had made them subservient and that was a grant which Allah gave it to Solomon and no one after him. Solomon told them: I want from you to bring me the throne of this queen, because they will come in submission to the true religion. Who can bring this throne before they come? A sprite of jinn said: I can bring you this throne before you leave this counsel? I am strong, reliable and obedient to you O King. 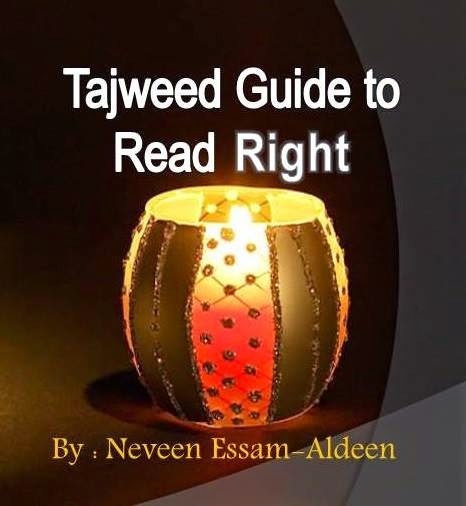 Then, one of the believers who had been given knowledge from Him and who used to read the Psalms, Solomon and David's Book that was revealed by Allah and from which he learned a lot said: I can bring you this throne within the twinkling of an eye!!! Then, this good man brought the throne from Sheba. No sooner had Solomon (pbuh) close his eyes when he saw the throne in front of him. He hurried to thank Allah Almighty for all of the blessings given by. This is the true believer whenever is blessed, he hastened to thank Allah Almighty for this grace. After that, Solomon (pbuh) said to his soldiers: Take this throne and transform some things in it so that the Queen of Sheba when she comes, she cannot recognize. We want to be assured whether she can recognize her throne or not. They transformed the throne. This shows that Allah always tests the believer to see if that has a negative impact on his faith or his faith will increase. When Balqis, Queen of Sheba came into Solomon Kingdom and met King Solomon (pbuh), he took her and showed her the throne which was her. He asked her: Is this your throne? Sheba Queen said: I do not know, but it looks like the throne I posses and it resembles it a lot. Balqis was astonished by this scene and asked a lot about the secret of the existence of this throne. However, she was impressed by King Solomon and how he brought her throne from Sheba or how he could make one alike!!! Despite that, she tried to declare her submission to the true religion, but she hesitated because she was a disbeliever and was prostrating to the sun and this what had stopped her from believing in Allah Almighty. Our Master Solomon (pbuh) realized that. Thus, King Solomon (pbuh) took her to a lofty building with a great arena made of glass. She said this is a lake of water! But Solomon (pbuh) told her that this is a palace paved smooth by transparent glass. Allah has made subservient who can make for him this antiques and wonders. Here and in this situation, Balqis, the Queen, stood convinced and declared embracing Islam in front of Solomon (pbuh) who was glad for this happy ending for a woman who was a disbeliever!! In the name of Allah, Most Gracious, Most Merciful. These are verses of the Qur'an,-a book that makes (things) clear; 2. A guide: and glad tidings for the believers,- 3. Those who establish regular prayers and give in regular charity, and also have (full) assurance of the hereafter. 4. As to those who believe not in the Hereafter, We have made their deeds pleasing in their eyes; and so they wander about in distraction. 5. Such are they for whom a grievous Penalty is (waiting); and in the Hereafter theirs will be the greatest loss. 6. 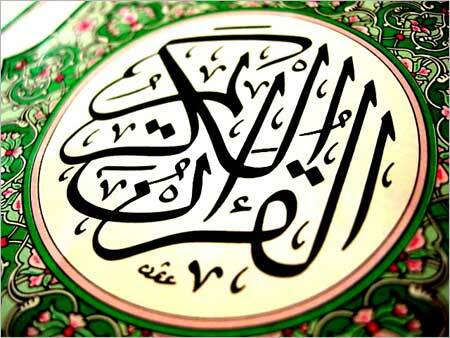 As to thee, the Qur'an is bestowed upon thee from the presence of one who is wise and all-knowing. 7. Behold! Moses said to his family: "I perceive a fire; soon will I bring you from there some information, or I will bring you a burning brand to light our fuel, that ye may warn yourselves. 8. But when he came to the (fire), a voice was heard: "Blessed are those in the fire and those around: and glory to Allah, the Lord of the worlds. 9. "O Moses! verily, I am Allah, the exalted in might, the wise!.... 10. "Now do thou throw thy rod!" But when he saw it moving (of its own accord)as if it had been a snake, he turned back in retreat, and retraced not his steps: "O Moses!" (it was said), "Fear not: truly, in My presence, those called as apostles have no fear,- 11. "But if any have done wrong and have thereafter substituted good to take the place of evil, truly, I am Oft-Forgiving, Most Merciful. 12. "Now put thy hand into thy bosom, and it will come forth white without stain (or harm): (these are) among the nine Signs (thou wilt take) to Pharaoh and his people: for they are a people rebellious in transgression." 13. But when Our Signs came to them, that should have opened their eyes, they said: "This is sorcery manifest!" 14. And they rejected those Signs in iniquity and arrogance, though their souls were convinced thereof: so see what was the end of those who acted corruptly! 15. We gave (in the past) knowledge to David and Solomon: And they both said: "Praise be to Allah, Who has favoured us above many of his servants who believe!" 16. And Solomon was David's heir. He said: "O ye people! We have been taught the speech of birds, and on us has been bestowed (a little) of all things: this is indeed Grace manifest (from Allah.)" 17. And before Solomon were marshalled his hosts,- of Jinns and men and birds, and they were all kept in order and ranks. 18. At length, when they came to a (lowly) valley of ants, one of the ants said: "O ye ants, get into your habitations, lest Solomon and his hosts crush you (under foot) without knowing it." 19. So he smiled, amused at her speech; and he said: "O my Lord! so order me that I may be grateful for Thy favours, which thou hast bestowed on me and on my parents, and that I may work the righteousness that will please Thee: And admit me, by Thy Grace, to the ranks of Thy righteous Servants." 29. (The queen) said: "Ye chiefs! here is delivered to me - a letter worthy of respect. 30. "It is from Solomon, and is (as follows): 'In the name of Allah, Most Gracious, Most Merciful: 31. "'Be ye not arrogant against me, but come to me in submission (to the true Religion).'" 32. She said: "Ye chiefs! advise me in (this) my affair: no affair have I decided except in your presence." 33. They said: "We are endued with strength, and given to vehement war: but the command is with thee; so consider what thou wilt command." 34. She said: "Kings, when they enter a country, despoil it, and make the noblest of its people its meanest thus do they behave. 35. "But I am going to send him a present, and (wait) to see with what (answer) return (my) ambassadors." 36. Now when (the embassy) came to Solomon, he said: "Will ye give me abundance in wealth? But that which Allah has given me is better than that which He has given you! Nay it is ye who rejoice in your gift! 37. "Go back to them, and be sure we shall come to them with such hosts as they will never be able to meet: We shall expel them from there in disgrace, and they will feel humbled (indeed)." 38. He said (to his own men): "Ye chiefs! which of you can bring me her throne before they come to me in submission?" 39. Said an 'Ifrit, of the Jinns: "I will bring it to thee before thou rise from thy council: indeed I have full strength for the purpose, and may be trusted." 40. Said one who had knowledge of the Book: "I will bring it to thee within the twinkling of an eye!" Then when (Solomon) saw it placed firmly before him, he said: "This is by the Grace of my Lord!- to test me whether I am grateful or ungrateful! and if any is grateful, truly his gratitude is (a gain) for his own soul; but if any is ungrateful, truly my Lord is Free of all Needs, Supreme in Honour !" 41. He said: "Transform her throne out of all recognition by her: let us see whether she is guided (to the truth) or is one of those who receive no guidance." 42. So when she arrived, she was asked, "Is this thy throne?" She said, "It was just like this; and knowledge was bestowed on us in advance of this, and we have submitted to Allah (in Islam)." 43. And he diverted her from the worship of others besides Allah. for she was (sprung) of a people that had no faith. 44. She was asked to enter the lofty Palace: but when she saw it, she thought it was a lake of water, and she (tucked up her skirts), uncovering her legs. He said: "This is but a palace paved smooth with slabs of glass." She said: "O my Lord! I have indeed wronged my soul: I do (now) submit (in Islam), with Solomon, to the Lord of the Worlds." The reader may follow the above steps to memorize the portions one after another, then joining and memorizing every two portions, and so on we treat the rest of the Surahs. Choose your best times to memorize the Quran; do not put this project on the margin of your life. The Quran won't give anything unless you give it everything. You should know that the biggest mission of the Noble Prophet (pbuh) was memorizing the Quran and spread it to his people. The best thing you can do is memorizing the Quran. Therefore, the Prophet (pbuh) said: (The best of you is the one who learned the Quran and taught it). You should intend to memorize the Quran and teach it to others. Try always to search the meaning of any word you hear and you do not understand its meaning from an explanation, an Internet site or asking a scholar. Because this process will increase your information account greatly with time.